Last week, the United States Courts for the Ninth Circuit granted Atwood’s defense team an extension in filing their opening brief until November 21, 2014. As I stated in a previous blog, I should have placed a Las Vegas wager that this would happen as it was a much anticipated move by Atwood’s defense team, claiming the case is long, complicated and they needed more time to prepare the brief on his behalf. Borrowed time on our tax paying dime, as they continue to manipulate the legal system to their benefit. 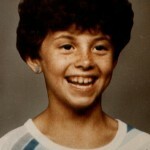 It’s been 10,860 days since Atwood kidnapped, sexually assaulted and murdered my 8 year old sister, Vicki Lynne. 10,860 days he has lived on this earth, freeloading off the tax payers, getting a college education, writing books and selling them from his website, repeatedly trying to have contact with children through the mail and fighting for his life that should have ended long ago for the brutal crime he committed. The clock is ticking for Atwood, and as each day passes we are one day closer to seeing his punishment being carried out. For now, I have satisfaction in knowing he is haunted by Vicki’s cries and the horrible torture he put her through, secretly wishing he was dead. This delay is frustrating and so incredibly difficult to explain to those who carry this horribly tragic and personal story in their hearts. Why will we have to wait any longer? It’s already been 29 years, 8 months and 26 days to see justice carried out. Today, I continue to have confidence in our attorneys as they prepare for what lies ahead, and pray for the panel of judges who will hear our case… and will wait to see what November brings. What an incredible month it has been since we kicked off our fundraising efforts to help support the 1st Annual Vicki Lynne Memorial Scholarship! 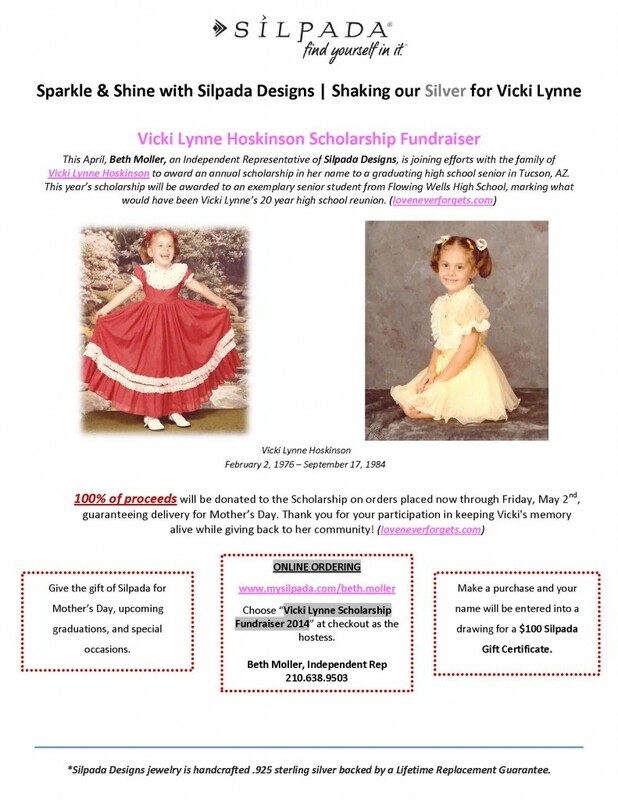 For many years our family has wanted to do a scholarship at Flowing Wells High School in memory of Vicki and when we realized this year would mark what would have been Vicki’s 20th High School Reunion, we began to plan to make it happen. Then Beth Moller, an Independent Silpada Respresentative, and one of my very best friends since the 8th grade, approached me about doing a joint fundraising effort with her company. 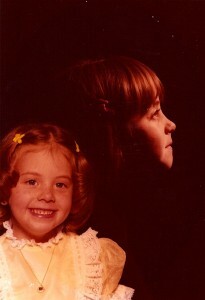 I don’t think either one of us had any idea what an amazing journey this would be!! As I said, Beth has been one of my best friends since the 8th grade. When her family moved to Tucson from Wisconsin, it wasn’t long after the kidnapping and murder of my sis, Vicki Lynne. She, like countless other friends who were students in our small Flowing Wells Community, walked this very personal journey with me. Our perspective and life was altered through this very tragic crime, and for Beth, wanting to be a part of making this scholarship happen was deeply imbedded in her heart. In just under a month we raised double our original goal. And, I do not know the time or tears that Beth poured into this effort but I am so incredibly grateful for her love, passion and long time friendship! Love you to the moon Beth! And, thank you to all those who supported this effort! 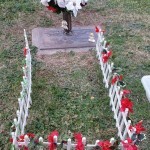 It is amazing and humbling that after all these years, our family continues to be so blessed with love and support. I believe if I named each individual who this story continues to touch I could fill a best selling book! The recipient of the 1st Annual Vicki Lynne Memorial Scholarship at Flowing Wells High School will be presented tonight, May 6th 2014. I know that I speak not only for myself, my family, and Beth, but for all those that supported this effort that we wish all the best to the young woman who is awarded this scholarship. And, we hope that you know that YOU were chosen to receive this not only because of your academic accomplishments but because of your passion to follow your dreams in music, your optimistic spirit, your genuine kindness to others and how you strive everyday to make such a positive impact on the lives of those you meet! It gives us great honor to give this gift to help you follow your dreams! Our family will continue to support the students of Flowing Wells High School with the annual Vicki Lynne Memorial Scholarship in years to come! We are thrilled to support and give back to the students of our community! “Shaking” our Silver for Vicki Lynne!!!! Sparkle & Shine with Silpada Designs!!!! Kicking off April 2014 with a fundraiser in honor of the 1st Annual Vicki Lynne Scholarship! 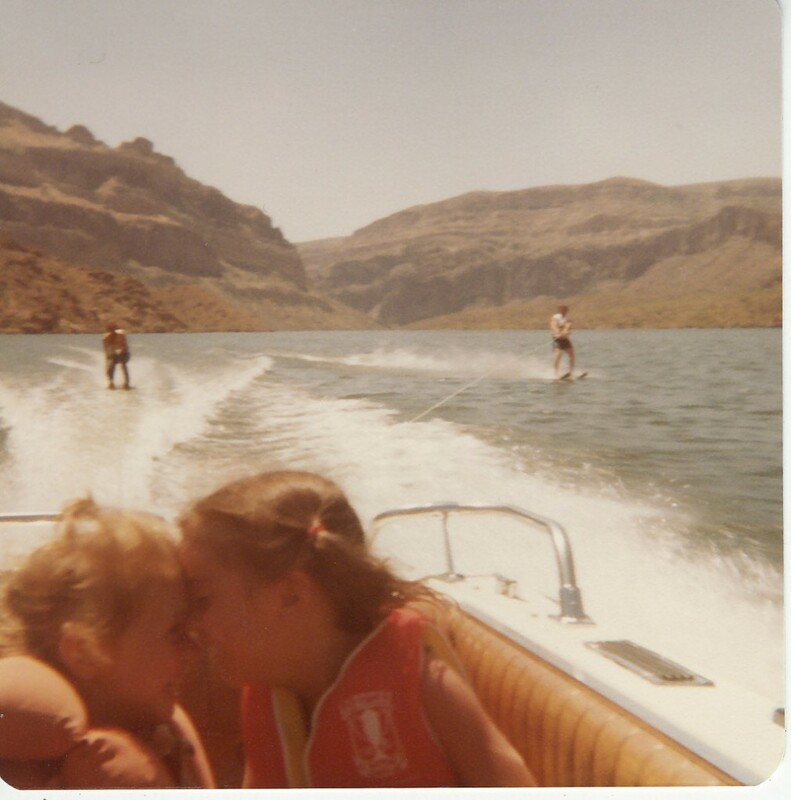 This year marks what would have been Vicki’s 20th year high school reunion, and our family has committed to awarding a scholarship to a graduating senior from Flowing Wells High School on April 30th, 2014. We WELCOME you to join us in supporting this cause with Silpada and one of my very best friends, Beth Moller! Mother’s Day and Graduation are just around the corner! 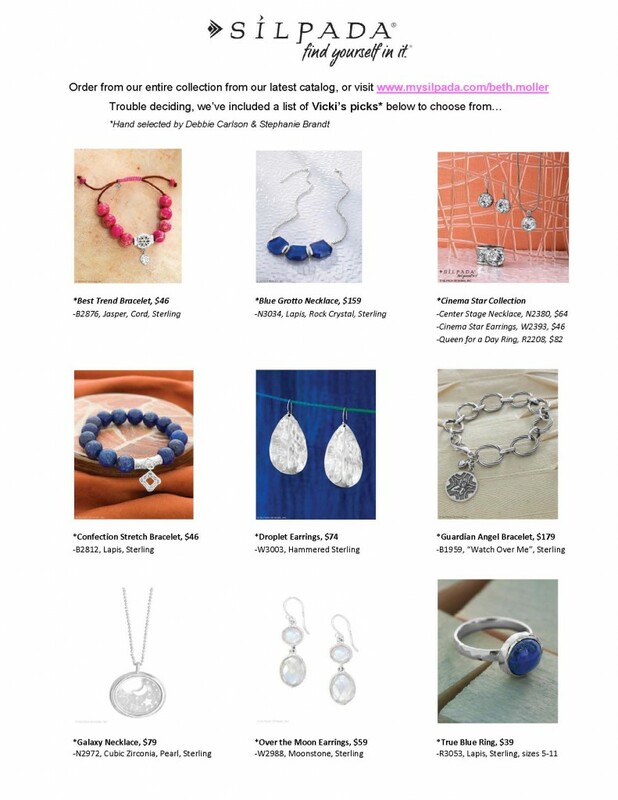 Want to host a catalog party? We will supply you with all that you need! Want to spoil that special someone, we can help! Don’t know what she wants? We can get you a Gift Certificate so she can shop away! 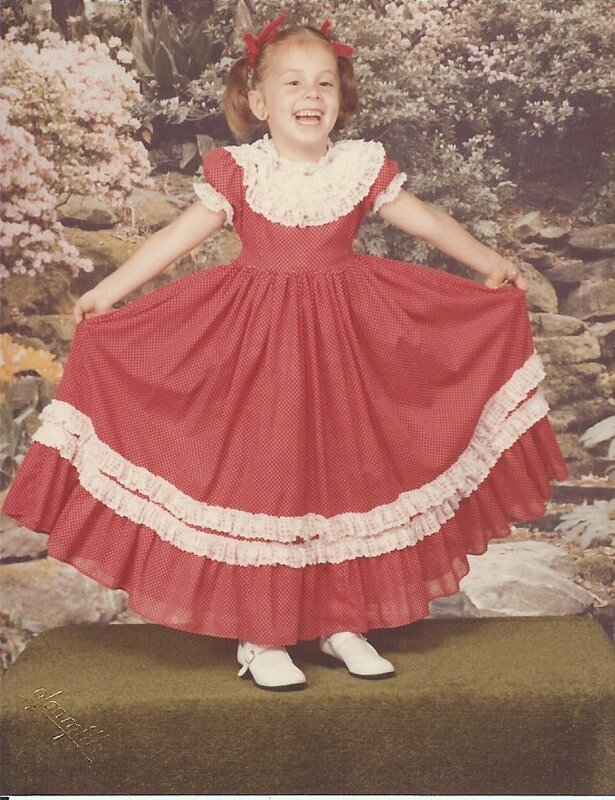 We will all be SHAKING it the way Vicki would want us to! Want to start shopping? 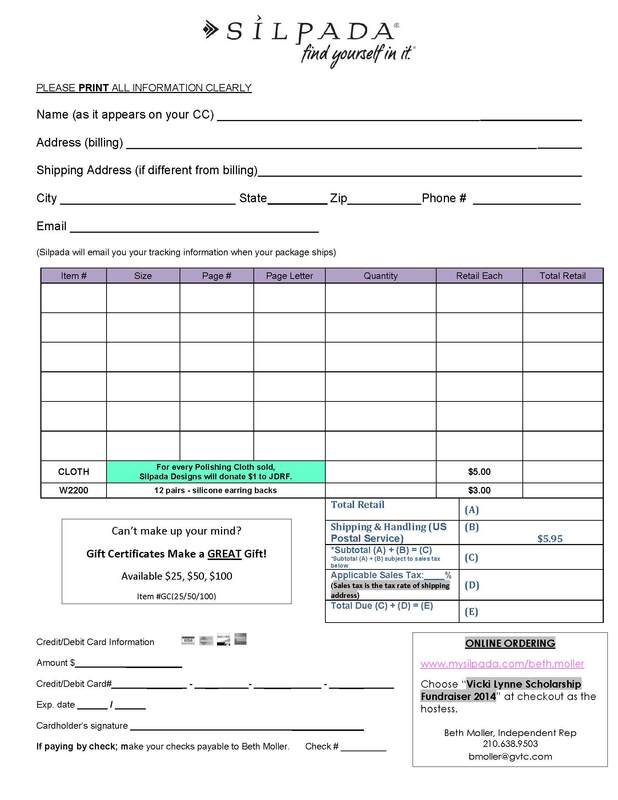 Beth’s Silpada Page & Choose “Vicki Lynne Scholarship Fundraiser 2014” as your hostess!!! Have questions with your order, want to book a party or buy a gift certificate? 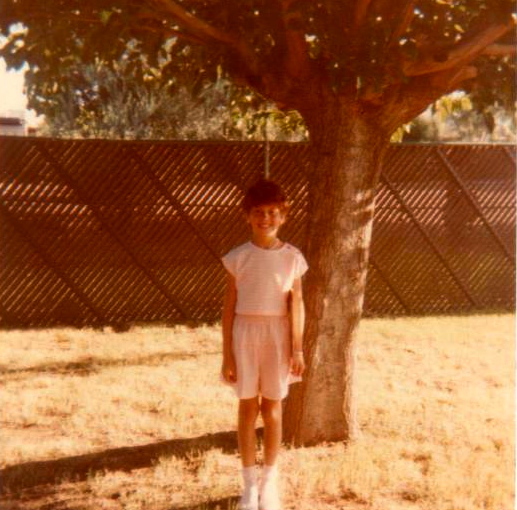 It was Arbor Day 1985 and the day that we planted a tree in hope for Vicki’s safe return in the courtyard of Homer Davis Elementary School where Vicki was in the 3d grade. Along with the tree, a time capsule was buried full of poems, pictures and letters to Vicki from her family, teachers, friends and classmates. Today it is a beautiful bloom of yellow that continues to give us life. 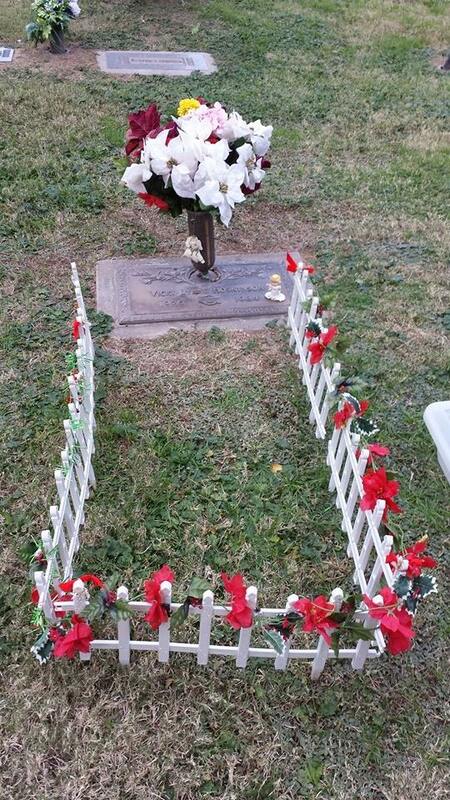 Last October (2013) longtime friend, Judi Spencer, approached our family with an idea from her son, Travis. 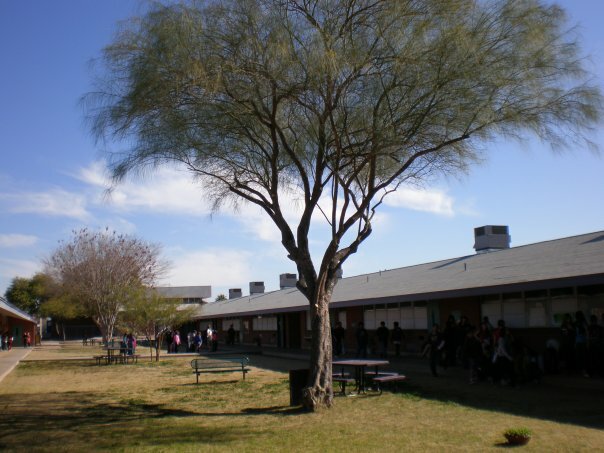 He wanted to make a plaque to mark the tree, and help future generations understand the significance of the Palo Verde tree standing so tall today. Judi and her two children, Travis & Jennifer’s friendship weaves a special place in our hearts and lives. 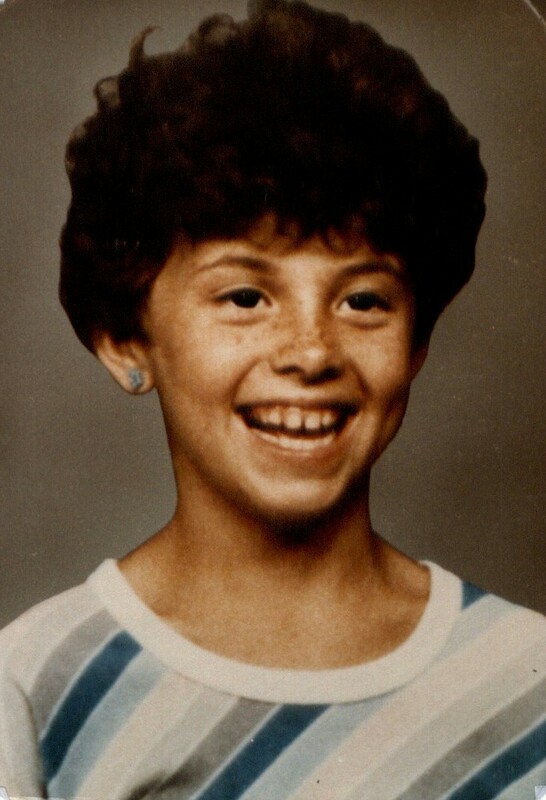 Jennifer was Vicki’s best friend, and the last person to see her alive before she was taken from us in September of 1984. They have walked this incredibly tough journey with us all these years andTravis’ desire to make this plaque makes it all the more touching. 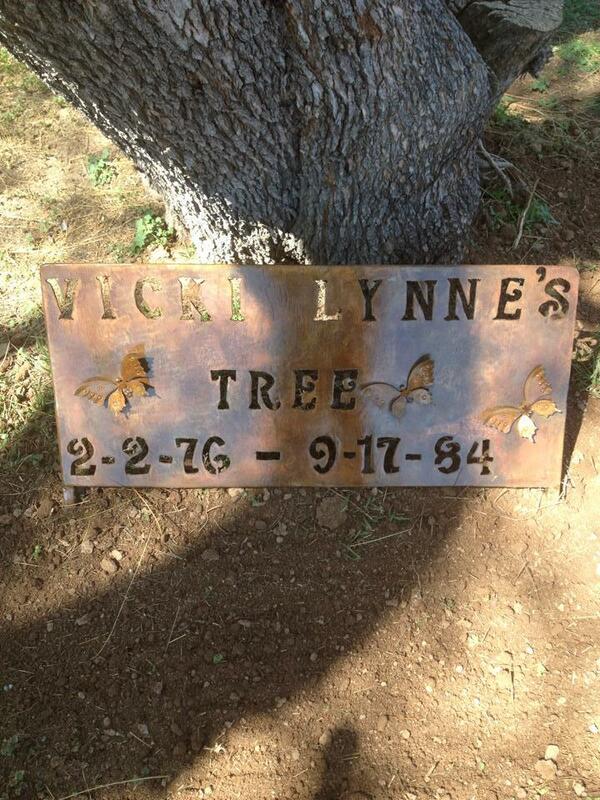 Vicki’s Lynne’s Tree now has a beautiful plaque made with love and the story will hang in the office of Homer Davis Elementary School for all those to read.